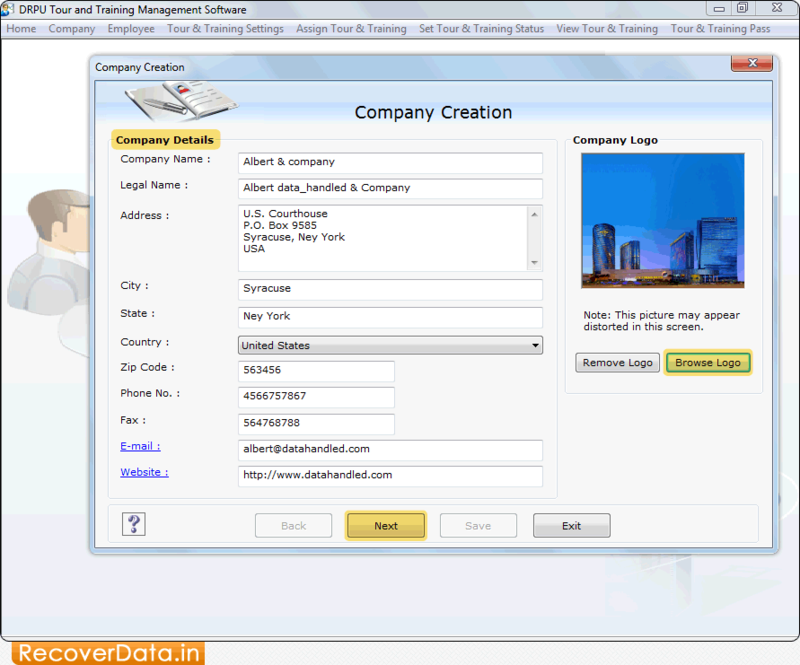 Enter company details which you want to create and click on 'Browse Logo' button to browse company logo. Press 'Next' button to proceed. 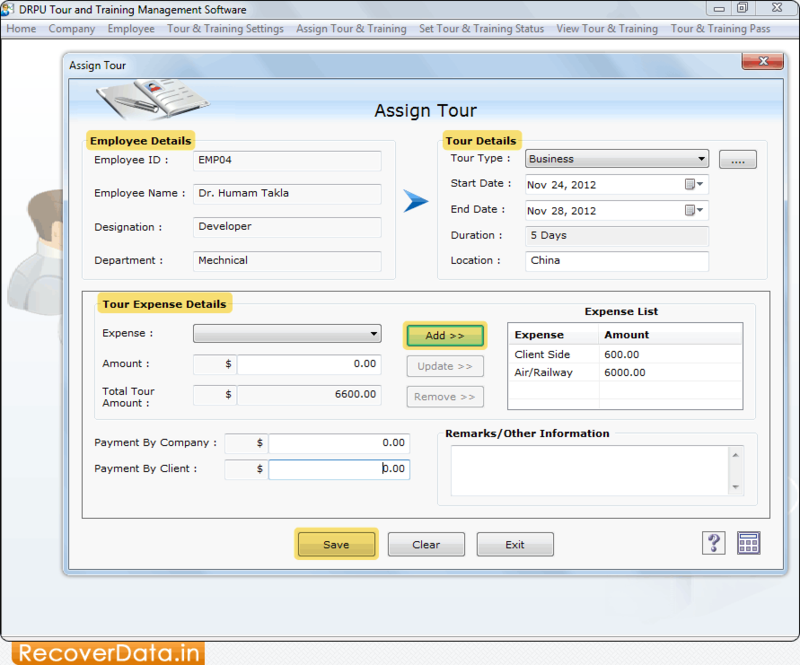 Enter Employee Details, Tour Details and Total Expense Details to maintain tour records. To save tour related details, click on 'Save' button. Enter 'Training Provider Details' and click on 'Save' button to save details.